???????! ?? ??? ?????? ???????? Whts the use of ths tool? yea! thx alot i will try it from at home! if u mean download clover revision, you can't download it if u have same clover revision in your machine, you can download it only if you haven't clover bootloader or if exists a new revision from server!!! a lot of work for this version.... 3.1.1!!! ?NOW UPDATED!!!!!??? ?ENJOY? Yeah!!! another one or 2 days for testing!!!!!!!!! The installer doesn't work for me It just says it failed. mmmmm... for me it works good!!!? ?Try with pacifist!!! 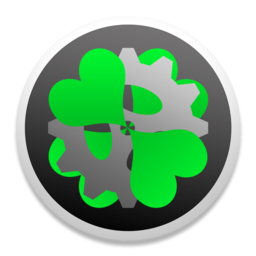 I have used tool "clover configurator 3.1". But i can't find "NoCaches" option. I need boot to OSX without caches. - Disable Mouse, because Mouse is enabled default on UEFI system, even if there are no entry. - Custom boot arguments, in addition to your predefined. Mouse already added in 3.1 ver! Fulltitle and others options in the next release!! Sorry guys, but clover changes day by day! Can you upload it again and give us the MD5? Please insert in your app values darkwake=no, 0, 1, 2, 3, 4, 8.? Great stuff mackie great stuff indeed. just a question i can't seem to get the config to hide legacy drives (either by hiding them all or individually) can you explain me how to do it? i have tried to add in the hide field "Legacy HD7" without quotes and also checked scan, tool and legacy, i put legacy as second (i tried first as well) didn't work, so i am pretty clueless what to do, can you point me in the right direction? 1.Where can I import my current settings from clover? I just want to change a few settings and leave the rest untouched.? 2. How can I tell the program where my Clover is located? ?I have multiple EFI partitions (Windows 8, OSX Recovery with fake Bootcamp, OSX Mountain Lion)? OK in next update!!! only type key will be required!!!!! 1. Sorry! the app completely rewrite all keys! if you have a default value set, the app remove automatically the key! 2. Go in extra menu -> Mount EFI!! if you have multiple efi partitions, select one where clover folder is located!!! default is disk0s1!! thank you guys for your feedback!!!! Where to find a manual for ?